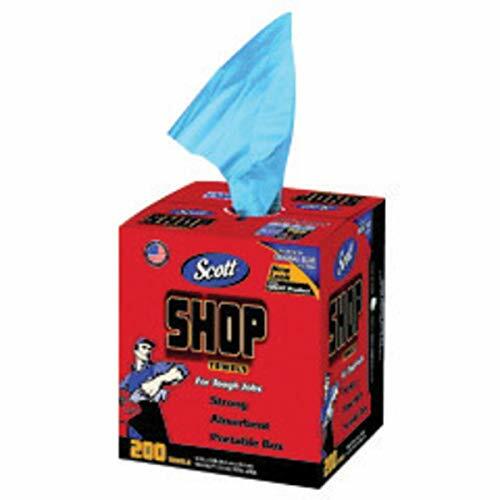 Kimberly-Clark Professional* SCOTT Blue Shop Towel comes in a pop-up box and is strong enough to work in wet conditions. Towel is ideal for cleaning up grease, liquids, oils and other spills. Durable and absorbent towel can be used for cleaning the garage or simply wiping windows. If you have any questions about this product by KimberlyClark Apparel, contact us by completing and submitting the form below. If you are looking for a specif part number, please include it with your message.